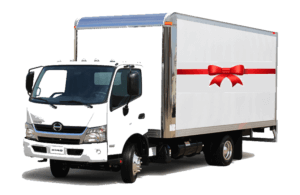 With the holidays fast approaching, now is the time to plan for your truck rentals, ensuring you have a quality, reliable truck for all your holiday deliveries. C&M Motors offers a wide variety of truck rentals including stake bed, dry box vans, and refrigerated vans for delivering temperature sensitive cargo. The experienced professionals at C&M Motors will help you with all your rental needs. From selecting the right truck size and body style, to additional equipment such as hand trucks, dollies, and harnesses that you might need. C&M Motors is your partner for dry van and reefer truck rentals in the San Diego area. Specializing in Medium Duty trucks with our impressive Hino line, C&M is your source for all size truck sales and rentals. Reliable, well-maintained equipment is the key to success. Trust your holiday transportation needs to the experts at C&M Motors. For over 30 years we have been supplying businesses with the right truck at the right price. Each rental truck undergoes a rigorous inspection before rental and our trucks are carefully maintained as part of our truck maintenance program. Now is the time to plan for the upcoming season by getting your holiday truck rental or lease reserved early. Let one of our qualified staff members help you with selecting the right truck and plan for this holiday season. We look forward to hearing from you and helping you make all your holiday deliveries happen. C&M Motors – San Diego’s premiere Hino dealership! Questions About the CARB Regulations for 2020?